What is POWERNATION? 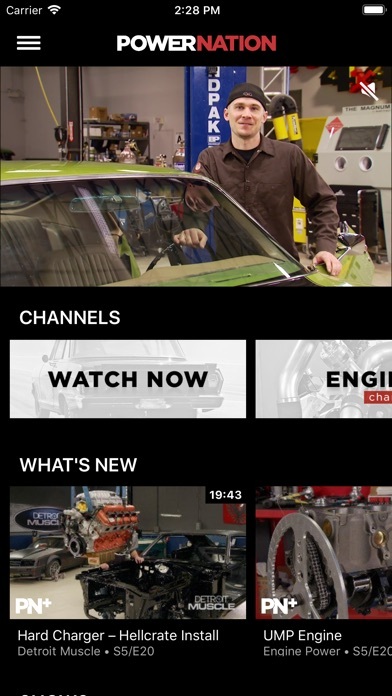 • POWERNATION is America’s most watched automotive how-to programming. It is the most credible, highest-rated, longest-running content on television. 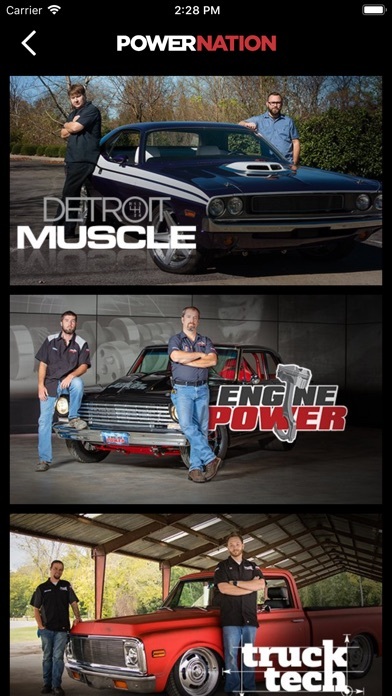 • Thousands of hours of hit automotive shows, including series such as Engine Power, XOR, Truck Tech, Detroit Muscle, PowerNation Daily, PowerNation Garage, PowerNation Shorts, Xtreme 4x4, Horsepower, Trucks!, Muscle Car, Search & Restore, Off Road Action, and Top Dead Center. • New shows added every week! • Start watching today, with no subscription or sign-up required! In addition, with our PN+ subscription, you’ll unlock: • Thousands of hours of videos completely commercial-free! • 5 entries into our PN+ sweepstakes for every month you are subscribed Try our PN+ subscription free for 7 days and then for $4.99 monthly USD or $49.99 yearly USD. No cable subscription needed, cancel anytime. Please note, your account will be charged after the free trial within 24 hours prior to the end of the current period. Subscription automatically renews unless the subscription is canceled at least 24 hours before the end of the current period. Payment will be charged to your iTunes account. Any cancellation elected during an active subscription period will not be effective until after the conclusion of the then-current subscription period. You can manage your subscription after purchase by accessing your iTunes account. Can’t get shows to load. Worthless at this point. The recent, unexplained lack of support for the current season disappearing, and this morning, the “Shows” tab blanking and locking up, is the reason why I’m uninstalling the app altogether. Weeks of “maybe this time” and “well, they’ll probably fix/correct it this week” has lead to disappointment. I’ll watch online occasionally, but the app - Bye bye. This used to be my weekend early morning routine. I may have been a week or two behind, but this is my only way to watch the episodes at 6AM EST, quietly, without bothering anyone. I was on vacation, sharing a house in the mountains with 7 other people who did NOT wake up as early as I, and I still enjoyed a cool Mountain view in a rocking chair on the porch, with a warm coffee, watching Powernation through the app. Heck! Even the “persistent” commercials nudged me to click, and eventually buy, from the vendors. Most recently, I purchased from JEGS, for a repair part I wouldn’t have thought of were it not for these commercials in episodes. The recent kerfuffle in episodic stupidity has all changed, and eliminated, my need for this app anymore. 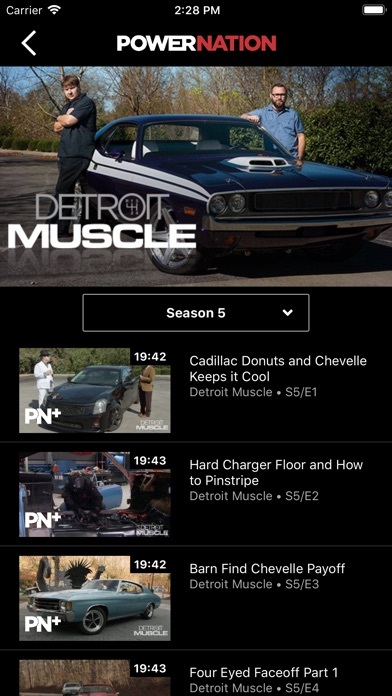 This app was great until a couple weeks ago when all of a sudden season 5 was no longer on the app. The show keeps running but season 5 is no where to be found. I would religiously watch these and have for many years but now I no longer can because RTM has decided for whatever reason to pull the current season off the app. I am very extremely disappointed as now I can’t watch the shows anymore. The application no longer launches on iPad, are you abandoning it? I can't even open this app anymore on my iPad 4. Anyone else having issues? 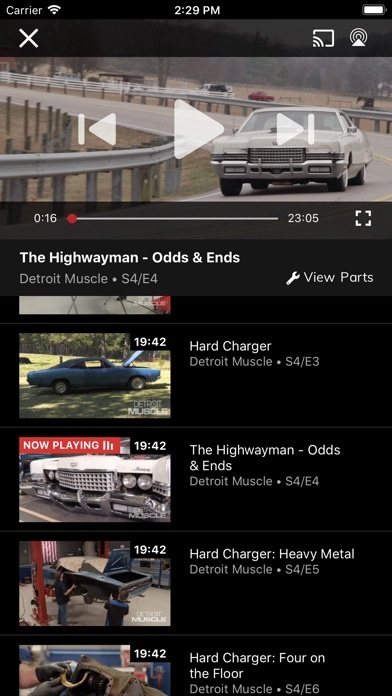 App crashes with every connection with a chromecast. Don't have this issue with any other app. Now it doesn't open at all. More fabulous new changes from powerturd tv. Worked good for a time, but now it won't even open. Please fix. Finally last update in April '17 worked. Rarely crashed. Now the latest update doesn't run at all. Good job. Did you actually pay someone to do this? Great app here on my phone and on the Roku. Wish David was still on trucks instead of the two on there now and wish both apps had the same content. Seems like the content here on the phone app gets updated sooner than roku.